Join Earth Island for an evening exploring the hidden beauty of our marine national monuments. The November 15 event at the David Brower Center in downtown Berkeley will feature a presentation by award-winning conservation filmmaker and photographer Ian Shive, followed by a panel discussion on current threats and planned actions to protect our marine national monuments. Panelists will include Shive, Earth Island Advocates’ Sumona Majumdar, Shark Stewards’ David McGuire, International Marine Mammal Project’s David Phillips, and Stanford Environmental Law Clinic’s Deborah Sivas. Guests will also have an opportunity to browse through the Brower Center’s current art exhibition on sharks with McGuire. The suggested donation for tickets is $5-$20. Get your tickets today, and RSVP on Facebook. Join Food Shift at Encuentro in Jack London Square on December 1 for a celebration of their 7th anniversary and the launch of Food Shift Catering. The Earth Island project will be selling its small batch food products and raffling off prizes. Food Shift’s Chef Suzy Martinez will be joined by celebrity Chef Tu David Phu to serve a meal made with rescued ingredients. Additional details and ticket information coming soon. Food Shift is also looking for a part-time Food Recovery and Catering Delivery Driver to start immediately. If you are passionate about food justice, check out the job listing for additional details. Shark Stewards is hosting a Golden Gate Marine Protected Area Collaborative Network meeting on November 7 to preview the network’s online MPA Ambassador training program. The network’s mission is to conduct citizen science in Marine Protected Areas (MPAs), and ambassadors help further this mission. Community members interested in becoming part of the collaborative can join the Earth Island project for the meeting at 3 p.m. at the Bay Model in Sausalito, CA. Additional details. The Torrance City Council will revisit the city’s Urban Coyote Management Plan on November 27 at 7:00 pm at City Hall. A large turnout of constituents is expected, and your voice can make a difference. EII’s Project Coyote encourages all local residents to let the city council know you oppose indiscriminate, lethal control of coyotes and support moving forward with a nonlethal coyote management program. You can voice your opinion by appearing in person at the meeting; contacting the members of the city council; and sending letters to the editor to your local papers to raise public awareness and to encourage others to take action. Here are some tips and tools for writing letters to the editor. Learn more about the meeting and how to get involved. EII’s Green Schoolyards America is excited to share that partners at the International School Grounds Alliance will be hosting an international conference in Yokohama, Japan November 16 to 18. The conference will explore how school grounds can help children learn about their city and the world. The program includes keynote presentations, workshops, and tours of local, innovative school grounds. Green Schoolyards CEO Sharon Danks will be presenting about green schoolyards and edible school gardens in the United States on November 17. Learn more and register. EII’s California Institute for Community, Art, and Nature invites you to participate in their fall program of events. Each gathering will feature outstanding special guests, delicious food, good conversation, and the playful exploration of ideas, culture, and social change. The next event is a celebration of Southern author Frye Gailliard’s new book A Hard Rain: America in the 1960s. Join project director Malcolm Margolin and special guests for a reflection on the transformative nature of the 1960s on November 8 at 7:00 p.m. at the David Brower Center in downtown Berkeley. Tickets here. Most Popular: The Coyote Champion. 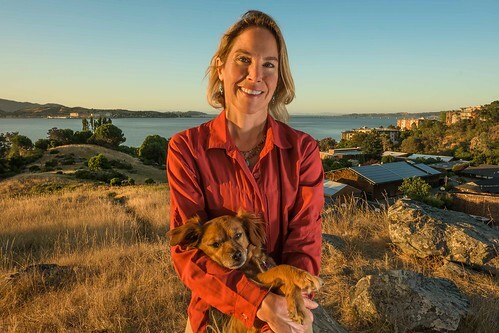 Reporter Paula MacKay interviews compassionate conservationist Camilla Fox, founder and executive director of Earth Island’s Project Coyote. Editors’ Pick: “Every Life Matters.” High school student Qirrat Ahmad talks with animal ethologist Marc Bekoff about how he first became interested in animals, his philosophy on animal rights, and his thoughts on how we can improve animal well-being. For just $15 a year you’ll receive four issues of our award-winning magazine packed with independent investigative journalism, analysis, and essays that make connections between the environment and other contemporary issues. Subscribe today. To keep up with the latest from the Journal, sign up for our newsletter today.